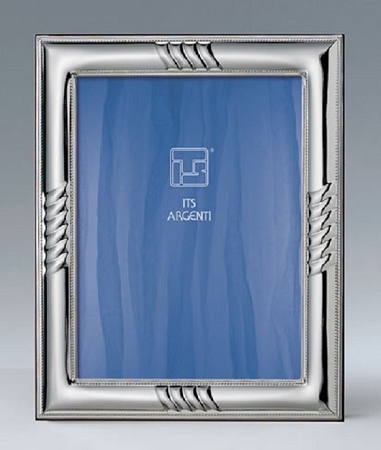 The most skilled craftsmen and finest designers from Italy created our sterling silver frames and giftware. A special attention is given to every detail, creating a spectacular work of art that will last for generations. All of our sterling silver pieces are tarnish-free, requiring no special cleaning, simply use a dry dust cloth, and each comes with its own certificate of authenticity. A gorgeous personalized frame with a beautiful burgundy velvet back. A truly one-of-a kind gift for weddings, anniversaries, graduations, housewarming, holidays or any occasion.